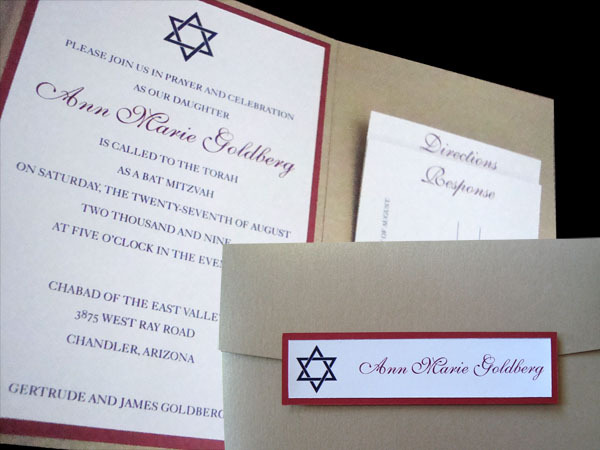 This occasion is cause for great celebration and what better way than through a beautiful invitation. 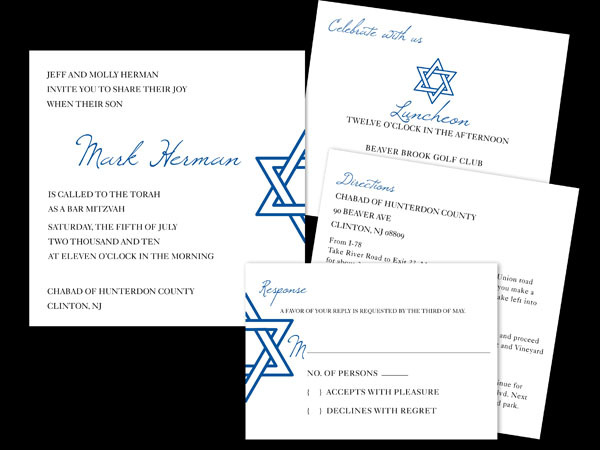 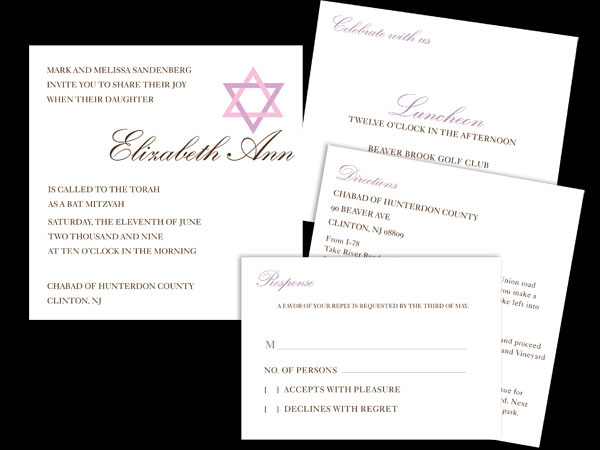 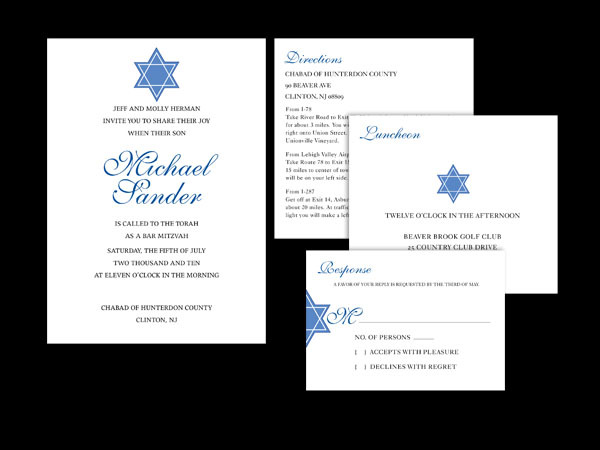 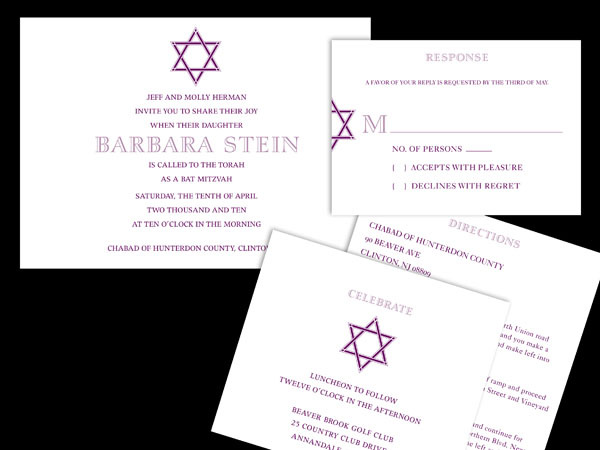 We offer several styles and all incorporate the Jewish star or can incorporate a photo of the boy or girl. 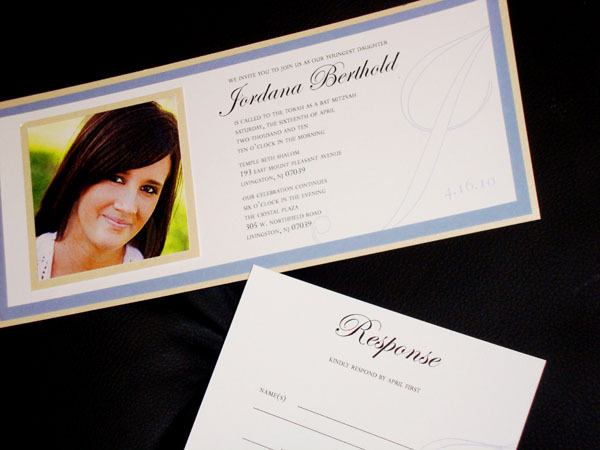 Enclosed in a Pocketfold which contains a reception card, response card and direction card stored neatly in a side pocket. 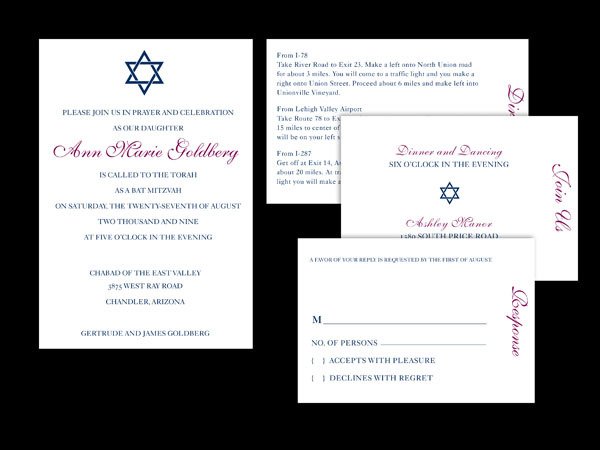 Enclosed in a Pouchette which contains a reception card, response card/envelope and direction card.